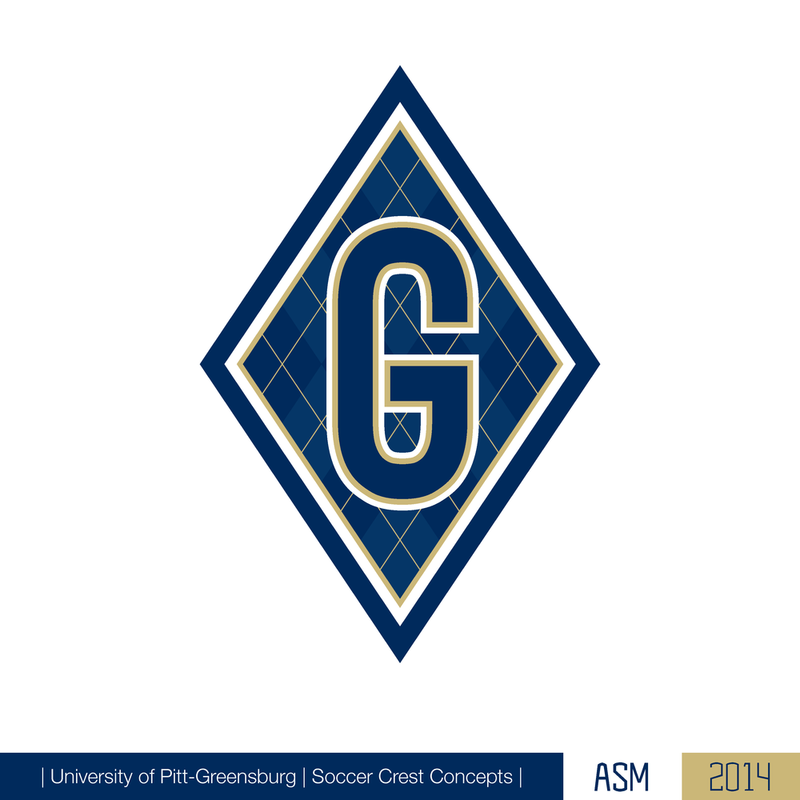 This set of logos was created at the direction of new University of Pittsburgh at Greensburg mens soccer coach. We worked together to draft over 100 potential designs and color options before finalizing the first design of the slideshow. The UPG crest is based on the shape of the United States soccer crest. Set inside the crest is an argyle pattern, to be adapted on apparel and kit designs, and a set of 11 alternating navy and white lines, representing the 11 players on the soccer pitch. Unfortunately, the University of Pittsburgh would not approve any new designs, so we refocused on cleaning up the paw print logo and word mark. The cleaner marks will be adopted by the team in time for the 2014-15 season as they transition to a more classic look under only their second head coach in 16 years.